Not much, cough, any, progress on the dinosaurs…..but look here! I got borders on this old UFO! Now I need to come up with a quilting plan. But first, I have to decide on thread and quilt this calendar quilt. I did embroider one more block for the Dino quilt with baby’s name. Maybe I should play around on EQ7 a bit and maybe that will help me come up with a plan. I think it’s neat that you have such a varied group of projects going. I find choosing thread colour difficult as well. Sometimes an odd choice seems to work well. I love the calandar quilt. You made the top quilt in one of my favorite color combinations. I can’t wait to see it quilted. And I love the baby’s name! 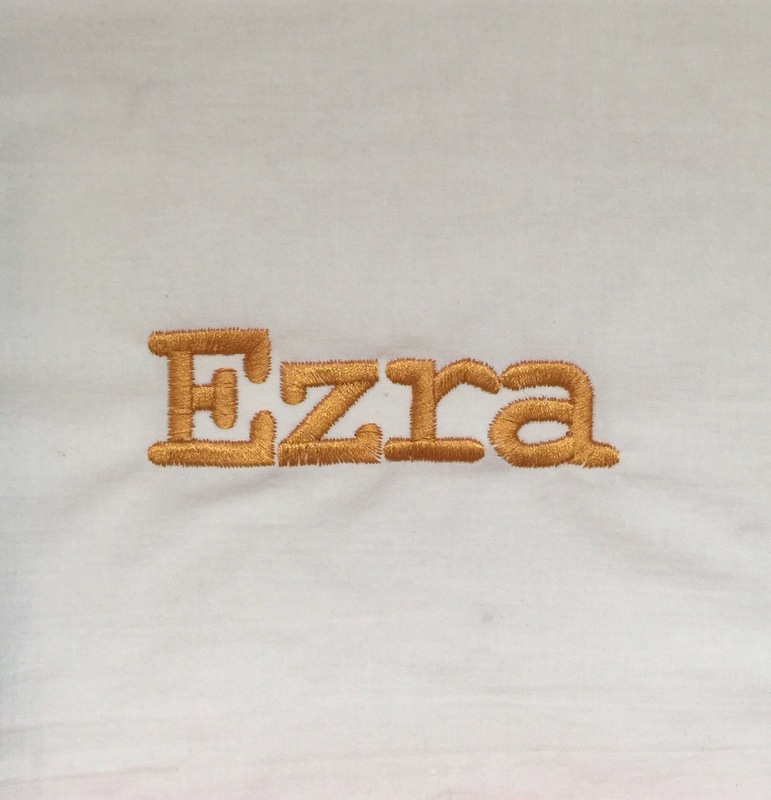 I have a many times great grandfather named Ezra Pond. 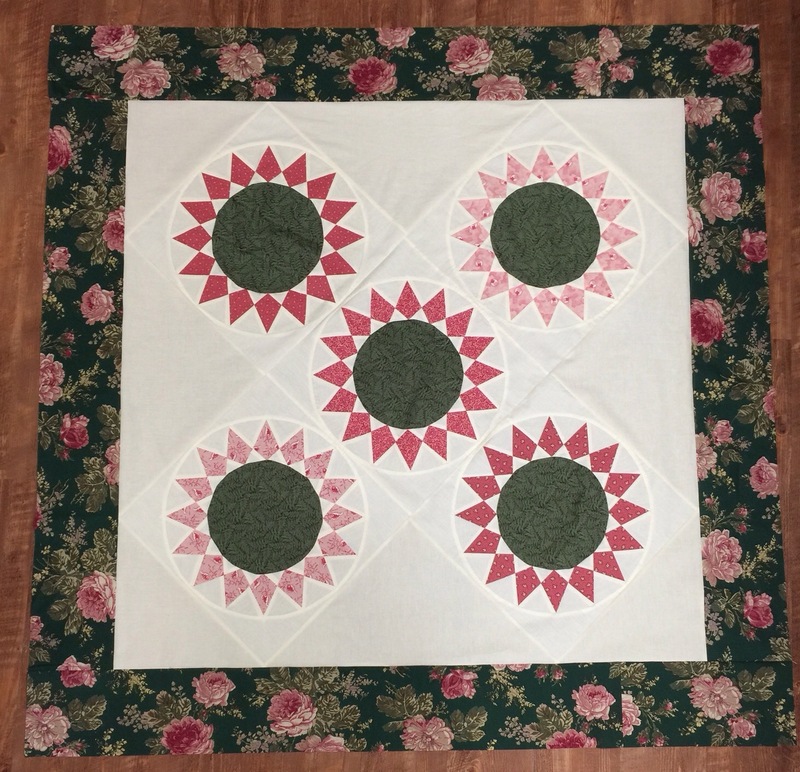 I’ve never seen a block like those in that quilt. They are so pretty! Do you have the name of the block or pattern? I am loving those colors! It’s going to be gorgeous! I also really like the block in your first quilt ~ figuring out how to quilt a quilt is way too hard for me…you’ll figure it out! If you play around on EQ7, you’ll never get anything finished! 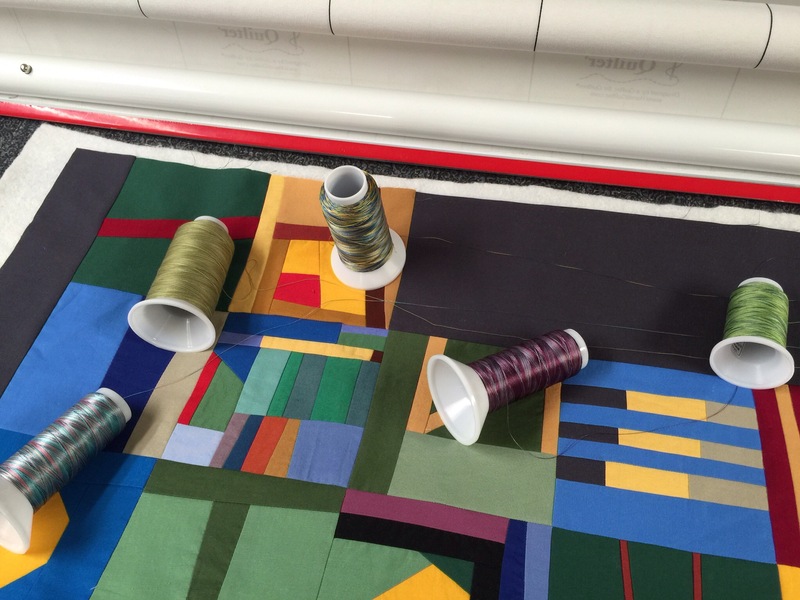 I create so many digital quilts that never see the light of my sewing machine. Oh, I wish I could give you some good advice on thread color, but it’s not my strength when it comes to quilting. I have to admit that I am a little uncreative when it comes to thread colors… standard and basic are my motto. It sure must be nice to make some progress on some UFO’s… they will both be lovely finishes. I’ve gotta get away from the mini mini craze before I can move on to my stack!